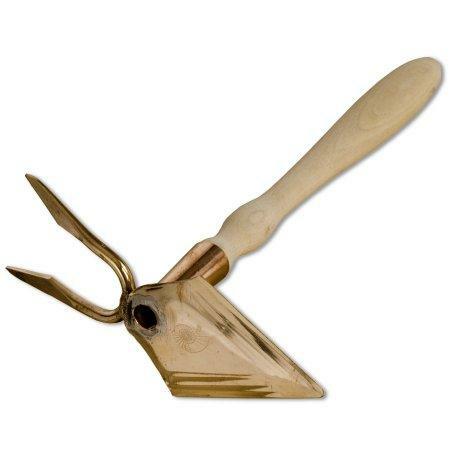 Spika is the tool for the attention-to-detail gardener. 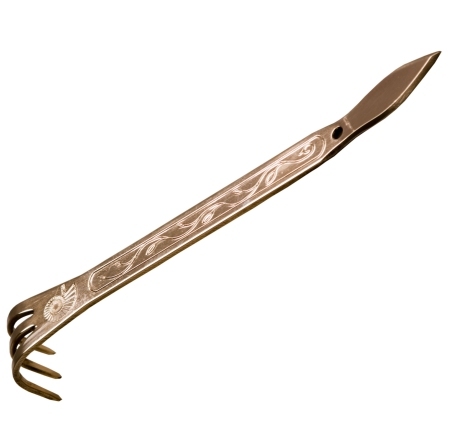 The three-pronged rake is used to tidy the soil surface around your precious plants, in pots or in the border. Then the spatula is used to dig out weed roots. 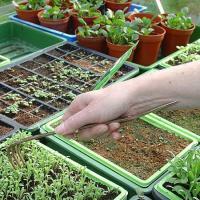 The spatula can also be used in the greenhouse, for pricking out. 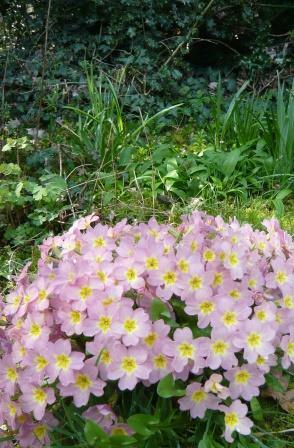 And some owners tell us they use it to lever out tap-rooted weeds such as dandelions. 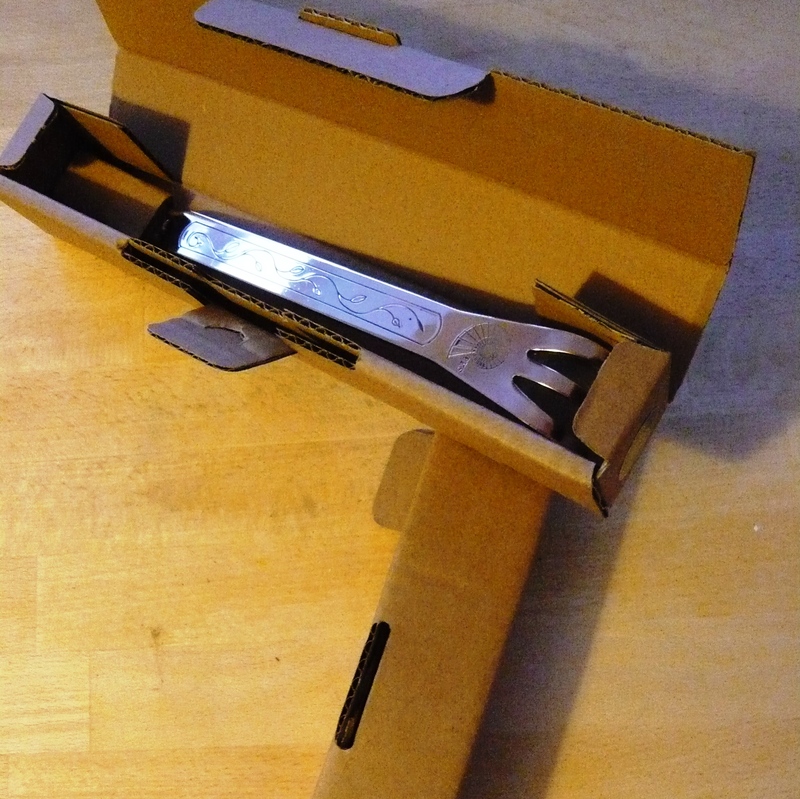 “Just wanted to let you know that the tools arrived safely this afternoon, a day early, and I am thrilled with them. 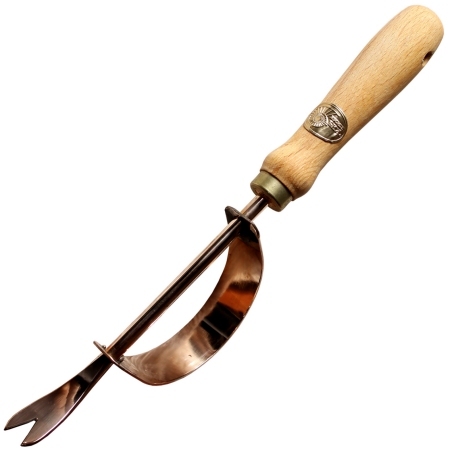 The Spika Weeder is the cutest little thing and so dazzlingly shiny it will cause me pain when it gets all mucky in the garden. 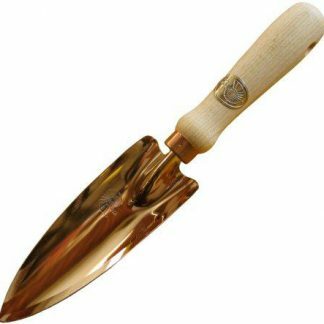 It’s going to be a joy to use, I’m sure, just like all the other copper tools I’ve bought from you. 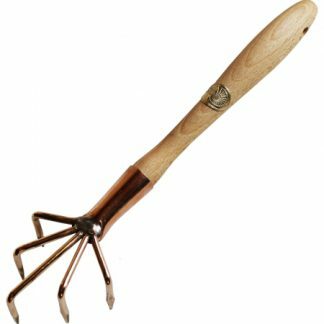 The Spika weeder is one of the most useful tools I have, perfect for pricking out, weeding in between the plants and especially raking the moss off the pots.